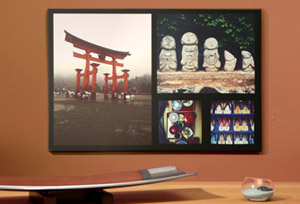 Corporate art for your walls that showcase your culture and brand. Gifting and promotion solutions for any budget. Perks programs for your employees. Your office should reflect your unique brand and culture and what better way to do this than through art. You can source images from your employees or use existing photographs of your products. We work with some of the world’s largest brands and some of the coolest small companies to make their workspaces beautiful. More than just office spaces. Want to give a truly unique and personalized gift that will last a lifetime? The gift of art is perfect. We can create branded gift cards, or personalized branded art to give to employees, partners or clients. We have solutions for any budget. Want to put together a unique gifting solution for your employees or customers? Want to hook up your employees with CanvasPop discounts? Let us know how to get in touch and we'll get back to you with fantastic pricing for your office art. Add text and shapes to your own images! Too many photos to choose from? 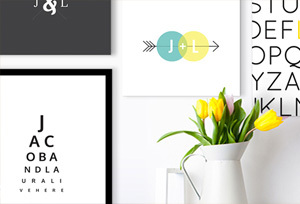 Show off your favorite images on a single canvas with Photo Collage! Give your photos some edge. 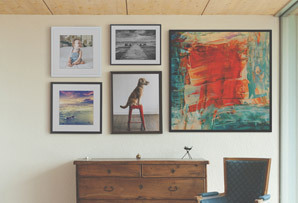 Printed on fine art paper in an expertly fitted wood frame, your photos never looked so good. Subscribe today for the latest deals and giveaways.